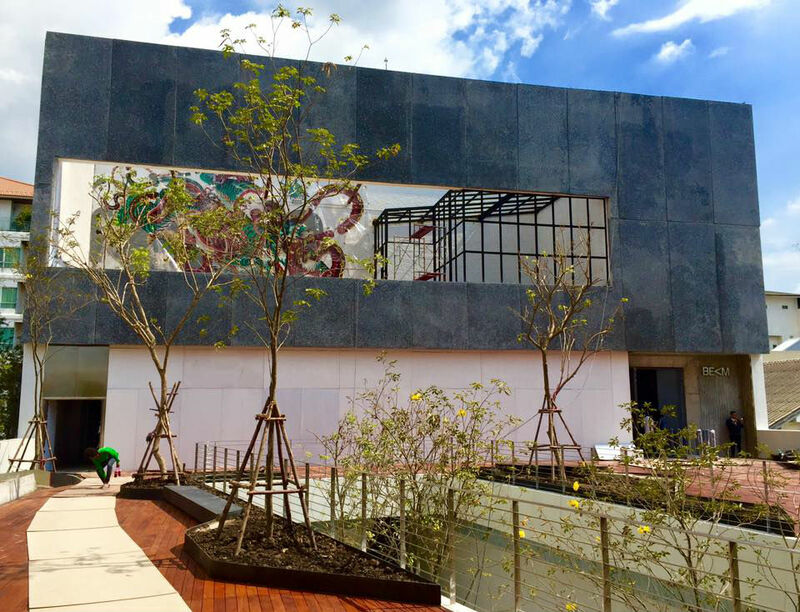 There’s a place where Urban Art meets Mexican food. This place is called “Touché Hombre”, was founded in Melbourne and has now successfully expanded to 72 Courtyard, Bangkok. If you think of anyone to embellish the brand new restaurant, you might notice that no one actually fits any better than Nychos. And no, we are not only writing that because of the pun. In the video below, Nychos explains the challenges and benefits of commission work and shares his thoughts on the process of developing a concept like this. The outcome is – once again – incredible. 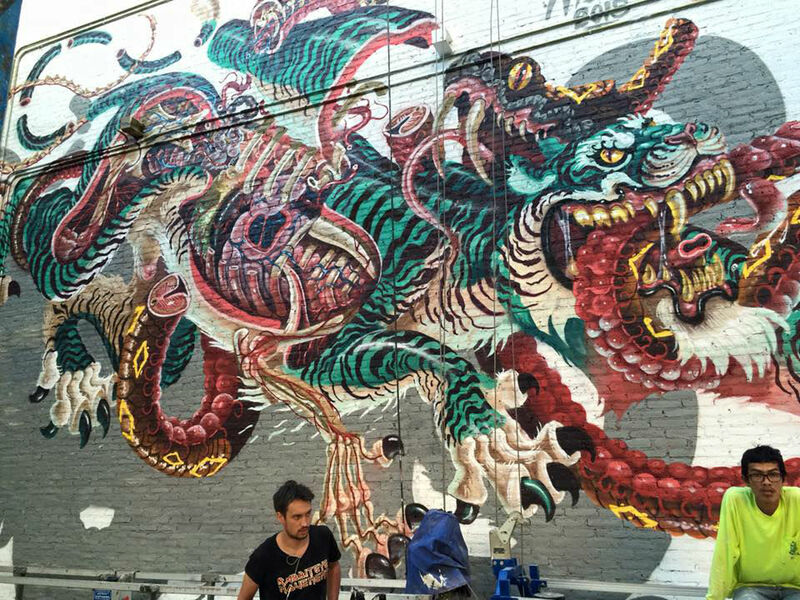 Nychos let a dissected turquoise tiger fight a snake on the fresh walls of the restaurant’s open air garden. Combining influences from Asian illustration and classic tattoo art with his loose and dynamic style, Nychos has for sure given all the future guests something to watch while waiting for their food, tequila, cocktail or…Nachos.